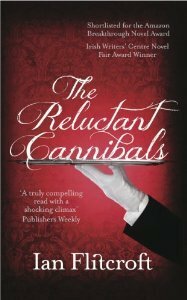 I was first drawn to The Reluctant Cannibals by the title as I am a big Hannibal Lecter fan. Intrigued, I read the blurb and thought it sounded like a fun read, so I requested it on NetGalley. I was not in the least disappointed with my decision as Flitcroft has created a tale full of wonderful black humour that delights at every turn. The action moved along at a lively pace while still offering fun facts on various aspects of gastronomy. The characters were endearing, and the prose was a joy to read and often put a smile on my face. This book is engaging, original and, all in all, excellent fun. I can highly recommend it.